Below you can view all the homes for sale in the Honey Creek subdivision located in Conyers Georgia. 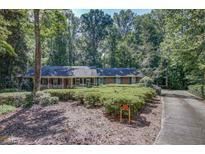 Listings in Honey Creek are updated daily from data we receive from the Atlanta multiple listing service. To learn more about any of these homes or to receive custom notifications when a new property is listed for sale in Honey Creek, give us a call at 404-998-4166. Located Near I-20, Shopping, Restaurants, Schools, Etc This One Won'T Last Long, Schedule Your Appointment To View Today! MLS#6537440. Rcm National Realty. Voluntary Club Membership. Home Warranty With Acceptable Offer. MLS#8563525. American Realty Pro Of Ga.
Swim/Tennis/Golf Is Available, But Not Required. MLS#8558396. Deon Cannon Realty. Back Patio W/ Private Views Of The Golf Course Tops It Off! MLS#6530514. Keller Williams Realty Intown Atl. Call Agent Connie Craig With Questions. MLS#8555535. Southside, Realtors. Fabulous Great Room With A Wood-Burning Fireplace. Pride Of Ownership Really Shows ! MLS#6527693. Keller Williams Buckhead. Home Comes With A 30-Day Buyback Guarantee. Terms And Conditions Apply. MLS#6525692. Opendoor Brokerage, Llc. Swim/Tennis/Golf Is Available, But Not Required. MLS#6519057. Solid Source Realty Ga, Llc..
Swim/Tennis/Golf Is Available, But Not Required. 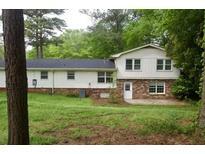 MLS#8541624. Solid Source Realty Ga.
Free Home Warranty Included. Won'T Last! MLS#8526366. Palmerhouse Properties Realty. Located Near I-20, Shopping, Restaurants, Schools, Etc! MLS#6503497. Keller Williams Realty Chattahoochee North, Llc. All Personal Items Will Be Removed. 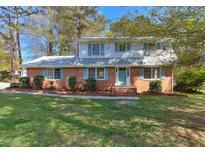 MLS#8515888. Sunshine Real Estate Services. Lots Of Room To Grow. Honey Creek Golf Community. MLS#6123185. Palmerhouse Properties. Fha Insured With Escrow Or 203K Elig. On Supra - Show Anytime MLS#6107493. Bridgewell Realty Inc.
Home Comes With A 30-Day Buyback Guarantee. Terms And Conditions Apply. MLS#6086315. Opendoor Brokerage, Llc.